Frederick L. Hickman - The Kafafian Group, Inc.
Fred provides financial advisory, strategic planning and regulatory order assistance. He also has a special interest and expertise in credit quality issues. He has over 40 years of banking experience, including 12 years as a national bank examiner with the Office of the Comptroller of the Currency. 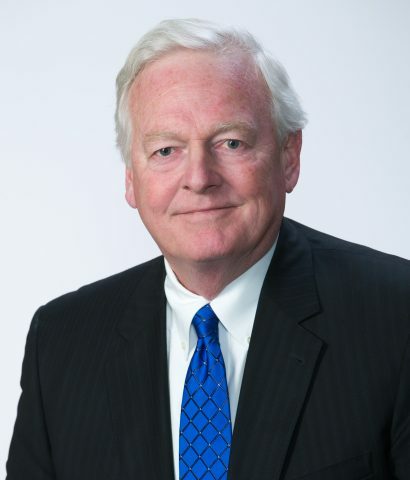 Fred joined TKG after having served as President and CEO of North Penn Savings and Loan Association, Scranton, Pa. Under his leadership, North Penn was removed from a cease and desist order that was in effect when he joined the bank. The organization subsequently went public in two steps (became North Penn Bank) and was eventually sold to Norwood Financial Corp., Honesdale, Pa., providing shareholders with a 92% return on their original investment. From 1988 to 2000, Fred served as President and CEO of the Union National Bank of Mount Carmel, Pennsylvania, which also had critical regulatory issues. From 1977 to 1988, he was an examiner with the OCC in the Philadelphia and Wilkes-Barre duty stations. Fred holds a B.S. degree with dual majors in finance and management from Susquehanna University, Selinsgrove, Pa. He is married to Barbara A. Hickman (Owens), who also was a national bank examiner prior to starting a family. They have a daughter, Carolyn, who attends High Point University in North Carolina and a son, Freddie, who will be attending his first year of college in the fall of 2018. Fred enjoys golf and other sports, reading and investing. He also serves on the Lackawanna Blind Association Board of Directors and is President of North Penn Charitable Foundation.